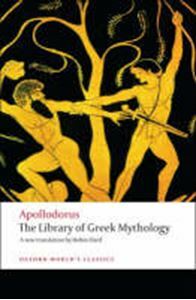 The only work of its kind to survive from classical antiquity, the Library of Apollodorus is a unique guide to Greek mythology, from the origins of the universe to the Trojan War. Apollodorus' Library has been used as a source book by classicists from the time of its compilation in the 1st-2nd century BC to the present, influencing writers from antiquity to Robert Graves. It provides a complete history of Greek myth, telling the story of each of the great families of heroic mythology, and the various adventures associated with the main heroes and heroines, from Jason and Perseus to Heracles and Helen of Troy. As a primary source for Greek myth, as a reference work, and as an indication of how the Greeks themselves viewed their mythical traditions, the Library is indispensable to anyone who has an interest in classical mythology. Robin Hard's accessible and fluent translation is supplemented by comprehensive notes, a map and full genealogical tables. The introduction gives a detailed account of the Library's sources and situates it within the fascinating narrative traditions of Greek mythology.